Located in Eastern Asia, China borders North Korea, Russia, Mongolia, Kazakhstan, Kyrgyzstan, Tajikistan, Afghanistan, Pakistan, India, Nepal, Bhutan, Myanmar, Laos, and Vietnam. China comprises about one-fifteenth of the world’s landmass (9,572,900 square kilometres). Its coastline runs along the East China Sea, the Yellow Sea, and the South China Sea between North Korea and Vietnam. The greater part of the country is mountainous. In the southwest is Tibet; the Gobi Desert lies to the north. The capital city is Beijing. China’s climate is characterised by dry seasons and wet monsoons, which lead to clear temperature differences in winter and summer. Due to the country’s complex topography, the climate changes from region to region. China has a recorded history of 3,500 years and is noted for being the oldest continuous major world civilisation. Before the 20th century, China was ruled by a succession of dynasties. One of these, the Han dynasty, saw the ascent of the Confucian ideology, and during the Han dynasty intellectual, literary, and artistic endeavors flourished. Two major Chinese inventions, paper and porcelain, came from this period. The Qing (Ch’ing) dynasty, established in 1644 when the nomadic Manchus invaded China, would be China’s last dynasty – it ended in 1911 and China became a republic. Much of the early 20th century saw civil war in China, with communists battling non-communist forces; invasions and occupations by other powers also occurred. Various communist models ensued, with various degrees of freedom and restraint, and wealth and poverty, for the population as a whole. Toward the end of the century, China began opening itself up to the rest of the world (it was isolationist for much of the century) and enacted reforms which led to massive economic development. China is now considered a major world power with a technology-intensive, industrialised economy. With a population of over 1.3 billion people, China is the most populated country on earth – one in every five people in the world is a resident of China. Since 1979, there has been a one-child policy in China to try to slow down population growth. The median age is 34. The main language spoken is Mandarin Chinese. Cantonese and a host of other distinct dialects are spoken in different regions throughout the country. Officially atheist, China is a country with diverse religious beliefs and freedom to practise them. The main religion is a combination of Buddhism, Confucianism, and Taoism (93%), while “other” (7%) includes Christians, Protestants, Catholics, Mormons, Muslims, and Jews. Han Chinese compose 92% of the ethnic make-up of the country, with Huang, Uygur, Hui, Yi, Tibetan, Miao, Manchu, Mongol, Buyi, Korean, and various other nationalities composing the rest. In terms of culture, it’s almost impossible to provide a brief description. Various parts of Chinese culture have been adopted across the world, especially in Japan, Korea, and Vietnam, including literature (including fables and poetry), cuisine (e.g., Sichuan), music (e.g., opera), crafts (e.g., wood carving and furniture-making) and visual arts (e.g., silk painting). Confucianism as well as an emphasis on collective over individual good have resulted in a society that values duty, sincerity, loyalty, honour, and respect for age and seniority. China’s economy during the past 30 years has changed from a centrally planned system that was largely closed to international trade to a more market-oriented economy that has a rapidly growing private sector and is a major player in the global economy. Its major exports are electrical and other machinery including data processing equipment, apparel, textiles, iron and steel, and optical and medical equipment. The rate of development has been extreme, with average GDP growth of 8% per year over the last 30 years. Most global economists expect the Chinese economy to become the largest in the world by the end of this century. While urban Chinese have seen significant increases to their standard of living, rural Chinese are still living in poverty. The Chinese currency is the renminbi or the Chinese yuan (sign: ¥). China has a communist government. The Beijing-based 73 million-member Chinese Communist Party, which is by nature authoritarian, dominates government. However, central leaders increasingly have to attract consensus for new policies from local and regional leaders, non-party members, and the overall population. Party control is tightest in urban areas and less entrenched in rural China. The principal organs of government power are the National People’s Congress (NPC), the president (head of state), and the State Council. Food costs are generally reasonable in China; housing is the major expense. Contacts are important for finding the best place to live, so students should begin talking to people as soon as they get to China for comfortable but reasonably priced living arrangements. In general, western China tends to be cheaper than the eastern port cities of Beijing, Qingdao, Shanghai, and Guangzhou. In Beijing, both furnished and unfurnished properties are available. Furnished houses are very easy to find in the rental market of Beijing. 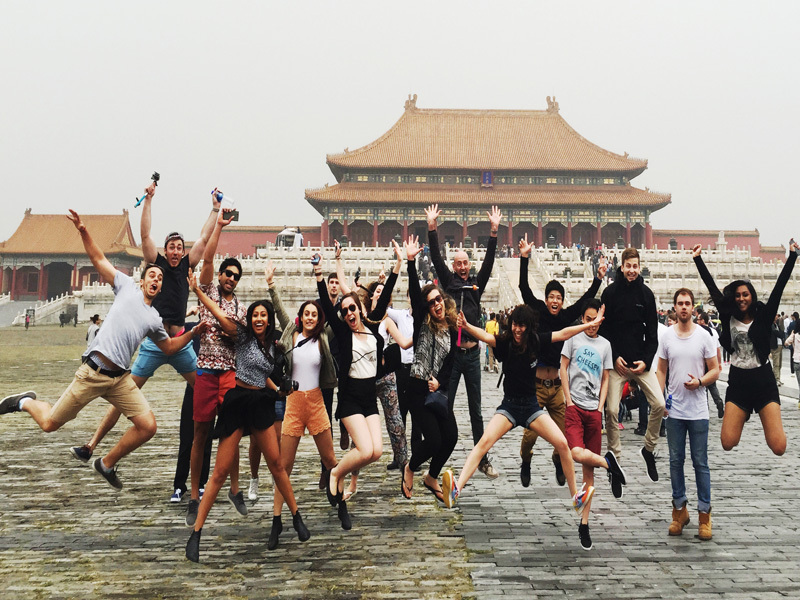 Most Chinese universities and colleges provide various levels of on-campus accommodation to international students at different costs to suit different budgets. International students can choose their accommodation when they arrive at the school. On-campus accommodation is usually the cheapest alternative. For travel between cities, buses and boats are almost always cheaper than trains and planes. The Chinese government has placed priority on developing education. It is revitalising the country through science and education, intensifying the reform of educational system, and implementing nine-year compulsory education. Governments at all levels are increasing their investment in education. China’s education system includes pre-school, primary school, secondary school, high school, university and college, as well as graduate school education. Secondary schooling is for children aged 12–17 and is managed by local governments and various business authorities. State-run secondary schools include junior middle schools and senior middle schools, both with three grades or years. The first three years of secondary school are compulsory and tuition is free. Senior middle school is not compulsory and students must pay minimal tuition fees. Private secondary schools often offer specialised education and have a more vocational bent, but their qualifications are considered to be on the same level as those of state-run middle schools. However, graduates from secondary professional schools are seen to have achieved a higher level in some ways akin to a university education. Students graduating from junior middle schools usually go on to senior middle schools, although some move to vocational high schools or secondary professional schools for 3–5 years of study. In terms of higher education, universities, colleges, institutes, and vocational colleges offer degree (e.g., bachelor’s, master’s, and doctoral) programmes as well as non-degree programmes – all are open to foreign students. There are over 2,000 universities and colleges, and students are required to pay tuition. The number of post-secondary students in China has been growing at approximately 30% per year since 1999, and the number of graduates has increased dramatically in the 21st century. Chinese universities are divided into several categories: some directly under the Ministry of Education, others run by provincial, autonomous regional, and municipal governments, still others run by local centre cities, as well as by communities. Chinese universities and independent colleges are equal institutions of higher learning. To enter a university or college, students have to take the national entrance examination, which takes place every June. Selection is based on each student’s marks in this exam, and due to the number of people sitting the exam, getting into university is highly competitive. China’s full-time institutions of higher learning have two semesters in a school year (three semesters in some colleges). The first semester begins in early-September, while the second in mid-February. One semester usually lasts about 20 weeks. In the last several years, the number of international students coming to China has more than doubled, due to China’s growing economy and improving higher education system. In March of 2010, the Ministry of Education of the People’s Republic of China announced a total of 238,184 international students were studying in China in 2009. The top five countries with the largest numbers of international students in China are South Korea, Japan, the United States, Vietnam and Indonesia. The education institution must be accredited to offer courses or internships to international students; it will send the international student a JW201 or JW202 form and an admission letter. The international student will submit these with photocopies of their visa application. Different academic departments have different Chinese language requirements (e.g., engineering and computer sciences generally require lower Chinese-language requirements than do degrees like law). The student visa is divided into an X visa and an F visa. An X visa is issued to foreigners who come to China for study, advanced studies, or fieldwork for more than six months. An F visa is issued to foreigners who come with the same purpose but for a period of less than six months. An X visa is valid only for 30 days from the date of arrival during which time the international student and their university must seek a temporary residence permit for the duration of their study or internship, to a maximum of 12 months. International students are not permitted to work on this visa without permission, and should contact their university or employer after they have settled in to see what can be arranged. All foreign students pursuing higher education in China for a period of over six months need to get travel insurance, student health insurance, and emergency insurance. Students can purchase their insurance from their home country or from the university admission office during registration. www.e-admission.edu.cn/ – Information regarding accommodation, health insurance, finding schools and programs, how to apply, work, and money matters.